It is now well documented that baby massage can play a vital role in aiding relaxation, improving digestion and reducing colic. Research has also found massage to be a valuable tool in encouraging weight gain, particularly for the premature baby. Supervised massage is an ideal way for older siblings to bond with a new baby and is a great way to get fathers involved in caring for their newborn. For toddlers who seem unable to lie still, massage time can also be used as ‘sharing’ time, story time or even quiet play, providing an opportunity for one-on-one engagement and gentle communication. The long, rhythmic and fluid strokes of massage can also be instrumental in helping even older children prepare for slumber and are definitely nurturing and soothing to us all. Whilst massage itself can be extremely beneficial, some parents, however, may fail to understand the importance of the actual product they use to massage their baby. For a newborn or very young infant, a good oil choice could be a cold pressed, preferably organic, vegetable oil which is petro-chemical free. Oils such as sweet almond or jojoba are ideal but offer little nourishment to the skin when used on their own. Instead, a pre-blended product that is unscented (no essential oils or added fragrance) and contains a simple mix of additional cold pressed, naturally nourishing oils such as calendula or evening primrose, may provide additional benefits to dry, sensitive or fragile skin. These types of concentrated, active oils are rich in an assortment of natural fatty acids, nutrients and vitamins which can help to moisturise dry skin whilst offering additional benefits to the base oil which provides a medium for the more gentle, fluid movement of a relaxation-style massage. Both infant massage Associations in Australia (IMA Infant Massage Australia and IAIM International Association of Infant Massage) recommend unscented/fragrance-free massage oils for young babies, which is in keeping with UK-based research that suggests unscented product in general, is best for newborn babies. Despite this, some commercial brands rely on less than detailed product labelling or marketing which is possibly designed to confuse consumers, for example including the word ‘lavender’ on packaging, which may suggest it is a natural, organic product, when in fact a mineral oil/petro chemical ingredient has been used. For this reason, it is best to always read ingredient lists on products and to opt for formulations that use no mineral oil, petro chemicals, paraffin oil, perfume, triglycerides, parabens, fragrance, herbal extracts or soya bean oil – one of the forerunners in gmo plant crops. At AROMABABY® we have developed a choice of baby massage oils following consultation with various members of both infant massage associations in Australia. 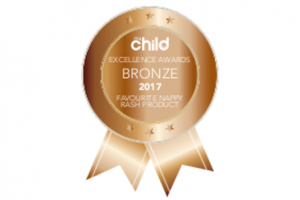 Our Mother & Child Oil contains an added natural anti-oxidant to ensure adequate shelf life (a rancid oil could go undetected and cause more harm to Baby than good) which is a pure, non acetate, natural vitamin e (d-alpha Tocopherol). This Oil is suitable for both massage and as a bath oil. It contains no aroma/essential oils and is ideal for sensitive skin. We also offer a Newborn Massage Oil which utilises organic jojoba oil as the base. Again, no essentials have been used. * Prior to massage, take time out for yourself, take a few deep breaths, and ensure you are totally relaxed and prepared to spend some quality time with your child. * Always ensure you massage in a warm environment – an infants body temperature can drop dramatically when undressed, so keep a towel/blanket or spare clothes close by for draping over the parts of the body not being massaged. * Take care when handling Baby as freshly massage infants can be extremely slippery. * Avoid any harsh lights (including sunlight) that may be too bright for the infant to look into whilst lying down. A room which is dimly lit or filled with gentle sunlight is ideal. * Massage with Baby placed on a bed or thick blanket/doonah on the floor, taking care of your posture (kneel down if massaging on a bed) or lay Baby on your legs (head at your knees and their bottom in your lap) leaning against a wall or lounge with your knees bent up. * If you listened to some particularly soothing music whilst pregnant, you may like to play this softly. It is very reassuring for Baby to hear your voice whilst being massaged to hum, speak softly or sing to your Baby during this special time as you caress and stroke them. * Short, clean fingernails are essential and remove any jewellery or rings that may interfere. * If you have long hair, tie it back and roll up any long sleeves. * Ensure you keep one hand in contact with Baby’s skin at all times – this will help with the flow of energy between you and your child and allows Baby to look around and take in their surroundings without having to keep checking that you are still there. * Avoid massaging over wounds, surgery or cuts or recent scar tissue. It is not recommended to massage an infant who has a fever or a contagious disease or you may encourage it to spread. * Take care not to massage on Baby’s abdomen immediately following a feed or when he/she has the hiccups. Massage of other areas during this time is fine. * Do not massage a newborn infant at bath time as this can be over-stimulating. If your infant is older than four months, and you wish to massage at bath time, it is best to massage after the bath to allow the oils to be absorbed by the skin. * Never watch the clock during massage you will know when either you, or more importantly your baby has had enough. Infant massage is beneficial to both you and your baby so take the telephone off the hook and enjoy! 1. Always start at the legs for newborns, as this is least intrusive area. Begin by holding one of Baby’s feet in your opposite hand (ie right foot in your left hand). Gently stroking down the leg with your hand and fingers making a letter “C” shape. Try to keep your fingers clasped around the top of the leg you are massaging, with your thumb underneath the leg in a circular shape. Begin at the top of the leg, moving down to the foot in one long, fluid stroke. Repeat 2-3 times. 2. Still supporting the same leg by holding Baby’s foot, use your thumb to lightly circle the soles of the feet, press with your thumb then release and follow with gentle squeezing and releasing each of Baby’s toes one by one. Move to the top area of Baby’s foot, circle the ankles clockwise then anti-clockwise & stroke back up the leg from the ankle to the thigh using the same letter “C” shape as in step 1. 3. Move one hand off Baby’s leg and onto the other leg, then move your second hand over so as not to break the flow of fluid movement. Continue to massage Baby’s other leg using strokes explained in Steps 1 & 2. 4. Give both legs a gentle wring & release stroke and hold both feet, wriggling them together gentle to complete the leg & foot massage. 5. Move up toward the tummy area and make contact with this new ‘space’ so Baby becomes familiar with the area to be massaged next. This is an ideal time to introduce circle shapes and shapes of letters, even spelling out words on the skin for older babies, further enhancing the massage experience. Be sure to maintain eye contact as you explain the shape or word you are making to your child. Keep in mind strokes should be in a clockwise direction on the abdomen and should be confined to the below the rib cage only. Massage Baby’s tummy from YOUR left to right, (clockwise) in the direction of their digestive tract, using small circles with fingertips or the flat of your hand and taking care to avoid the umbilical cord area for new babies. 5. Complete the front by placing both hands in the centre of Baby’s chest and sweep up and out over the centre of the chest, over the shoulders and hugging the entire length of the arms finishing off at the fingertips . Using both hands massage Baby’s arms one at a time, using a long fluid motion as in steps 1 & 2, followed by squeezing up and down the arm, finishing off at the fingertips. Massage each finger from knuckle to tip but do not attempt to restrain your baby if he/she curls fingers, kicks or moves arms during any part of the massage. Repeat on 2nd arm. 6. Gently turn Baby over and use the whole hand to stroke from the shoulders, down Baby’s back to the buttocks – take care of Baby’s delicate spinal area and instead always work either side of the spine. 7. Use both thumbs to make small circles around the top of the buttocks using both hands, starting toward the middle and moving out to the sides. Gently knead or ‘roll’ the buttocks simultaneously with both hands using a press and release action. 8. Move onto the back of Baby’s legs and use a gentle wring and release action starting at the top of one leg, massaging from the thigh all the way down the back of the leg and onto the soles of the foot. Move hands one at a time gently onto the second leg and repeat these movements. 9. Using long, light and fluid strokes from the head to Baby’s toes, finish off the back area. 10. Carefully turn your baby over and stroke across the forehead using fingertips of both hands. Starting in the middle and gliding out toward Baby’s temples. Pause for a moment and use feather-light circles around the temple area. Do not massage near the eye/eyelids and take care not to get oil near Baby’s eye area. Purchase Newborn Organic Massage Oil for $29.95 and receive Massage Your Baby with Love book for $15.00 usually $27.95 rrp that’s a saving of $12.95 Click here to purchase.